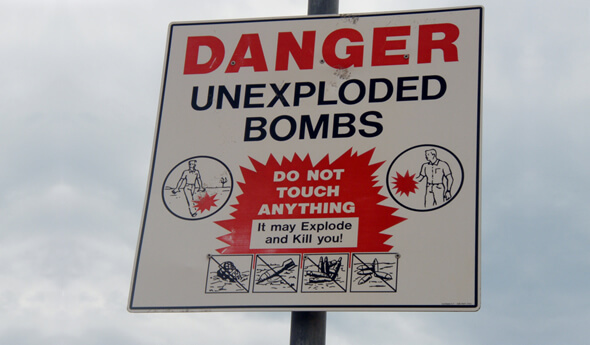 Unexploded ordnance may become more sensitive to detonation as they age. On site determinations of munition hazard/non-hazard. Target material hazard reduction and removal. 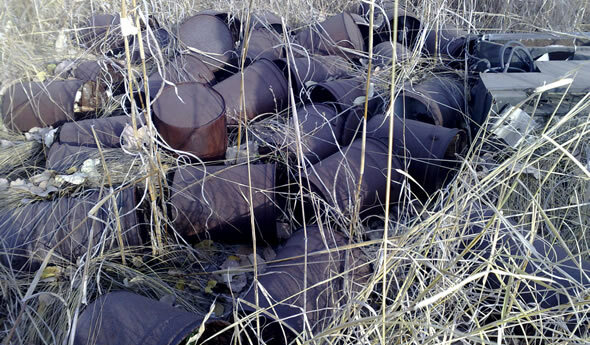 Target material can contain munitions and UXO from decades of use. G-tek can remove all the potential hazardous munitions from in, around or even under targets to make them safe for maintenance or removal. 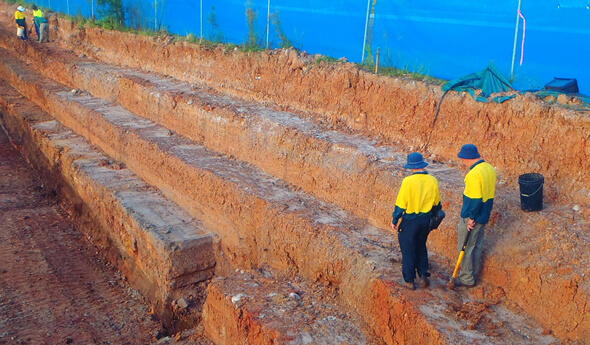 Ammunition burial cache location and investigation using historical research, site assessment and targeted geophysics mapping. 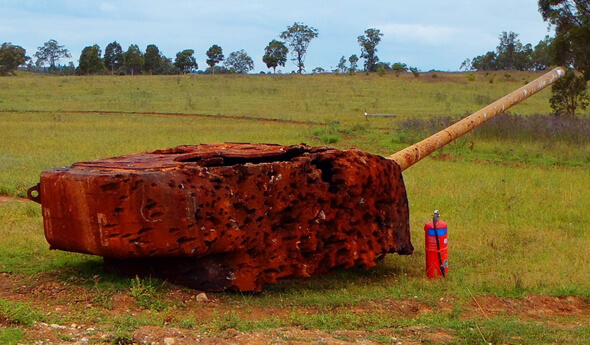 Deeper UXO targets can be cleared by benching. For example, at brownfield sites where deep excavation is required for construction, even the smallest munitions can be effectively cleared. Choice geophysical platforms are "tuned" to terrain, target size, composition and geological background. 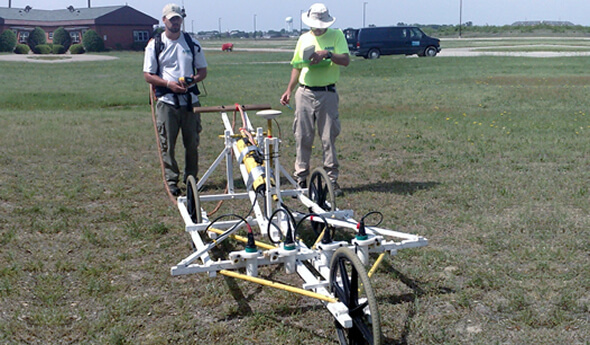 Here the wheeled quad-sensor magnetometer has been configured to detect civil war era cannon balls. 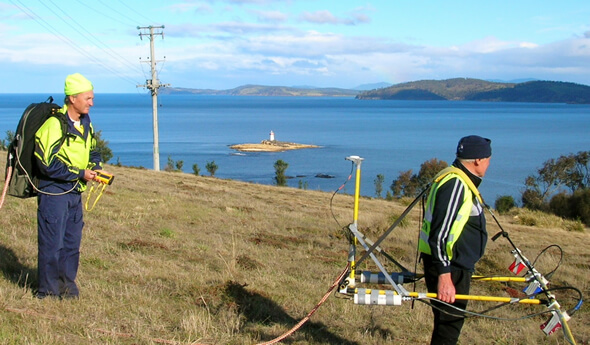 Hand carried magnetometer arrays can cope with a wide variety of terrains and vegetation. ATV towed geophysical arrays can cover large open areas efficiently while still providing extremely high data densities. 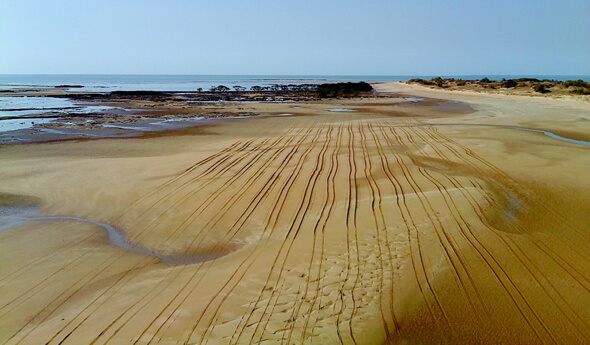 Here the tracks of an ATV 100% geophysical imaging scan are visible from a tidal flat. 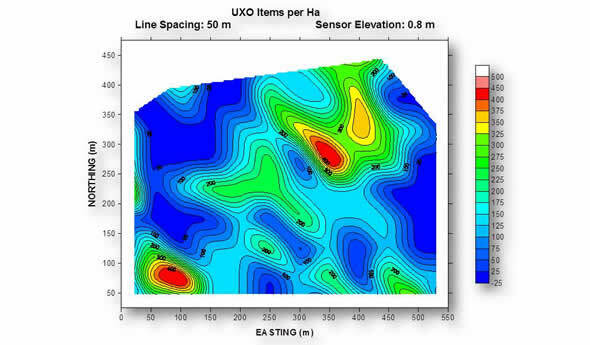 Geophysical assessment of the UXO risk level and distribution provides valuable information for hazard management. 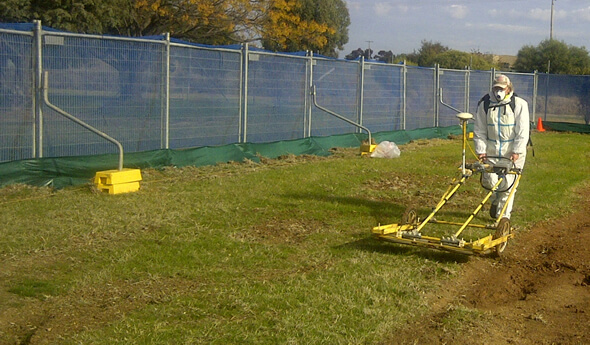 The geophysical platforms are easily adapted to detect large targets such as buried industrial waste. G-tek was a "Defence Recognised Supplier" while that initiative was in place. 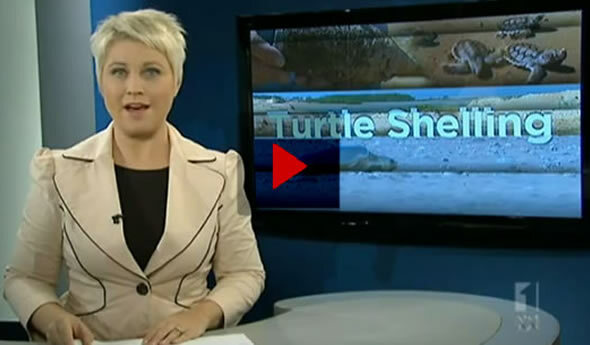 Member of the Defence Environment and Heritage Panel. 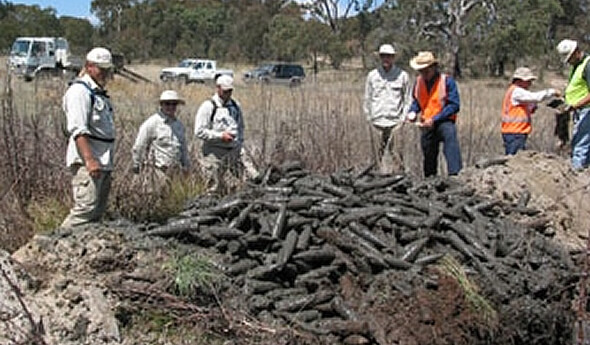 G-tek is currently certified to perform all 14 UXO services managed by Australian Government Department of Defence. Electromagnetics for very small and/or non-steel munition items. Bare Sand & Quail Island clean up. 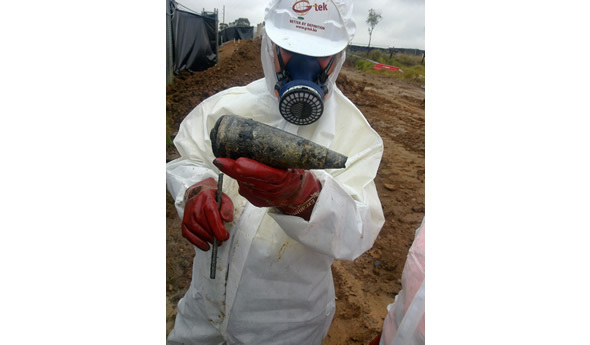 G-tek's key staff have over 30 years' experience in unexploded ordnance, geophysics and project management for government and commercial clients. The G-tek team includes geophysicists, ammunition technicians, field operators and supervisors.